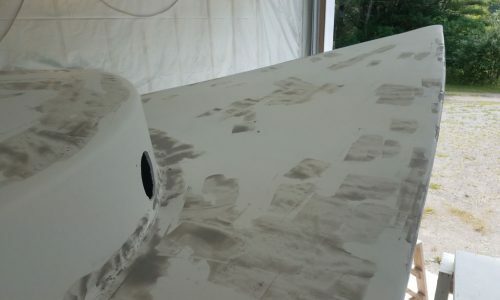 I began the day by vacuuming thoroughly the entire boat, deck and hull, to remove excess sanding dust from the previous days’ efforts. 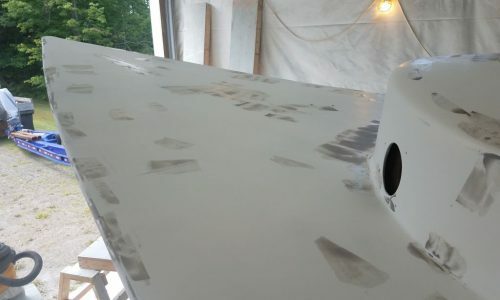 Afterwards, I solvent-washed the deck areas to clean them and prepare for the next step. 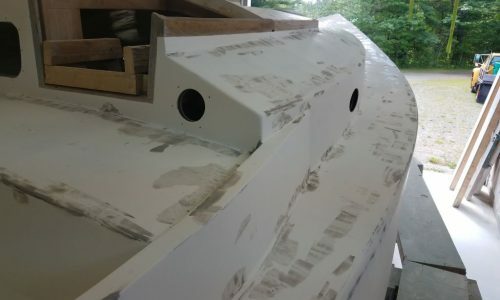 I’d eventually do the same to the hull, but only once I’d finished the decks. 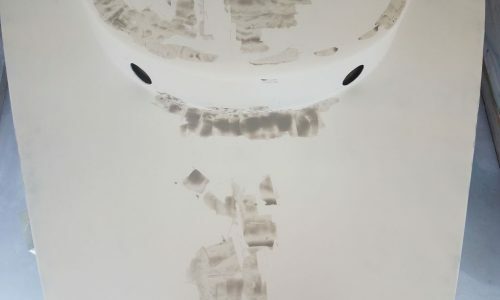 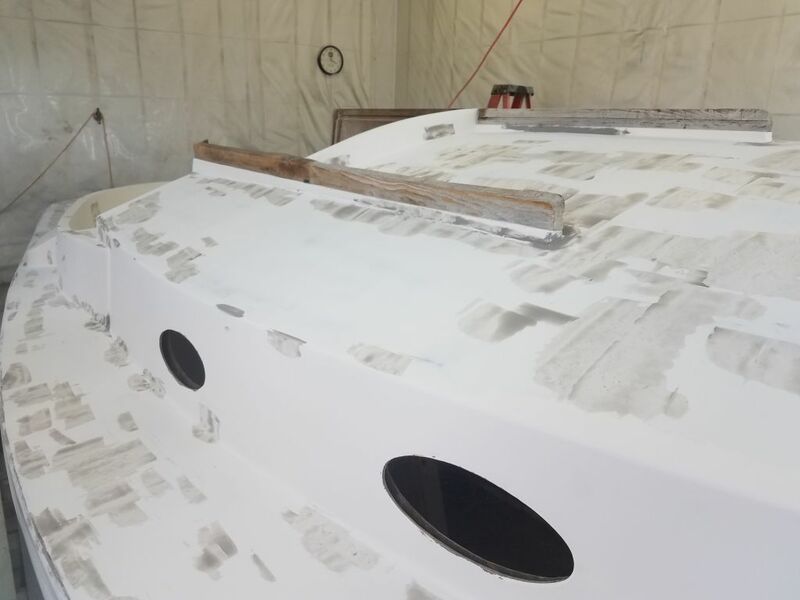 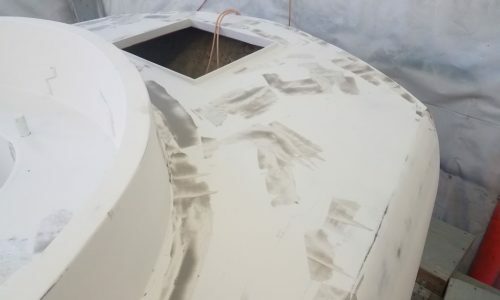 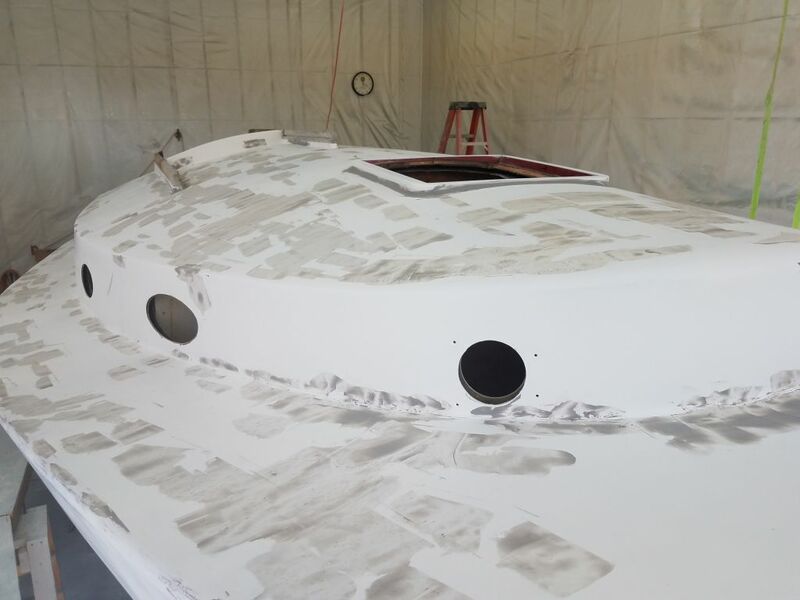 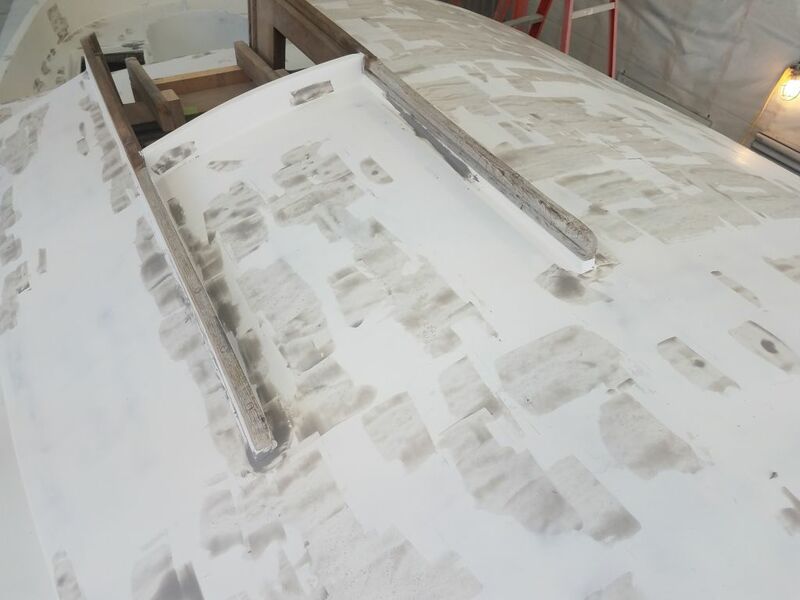 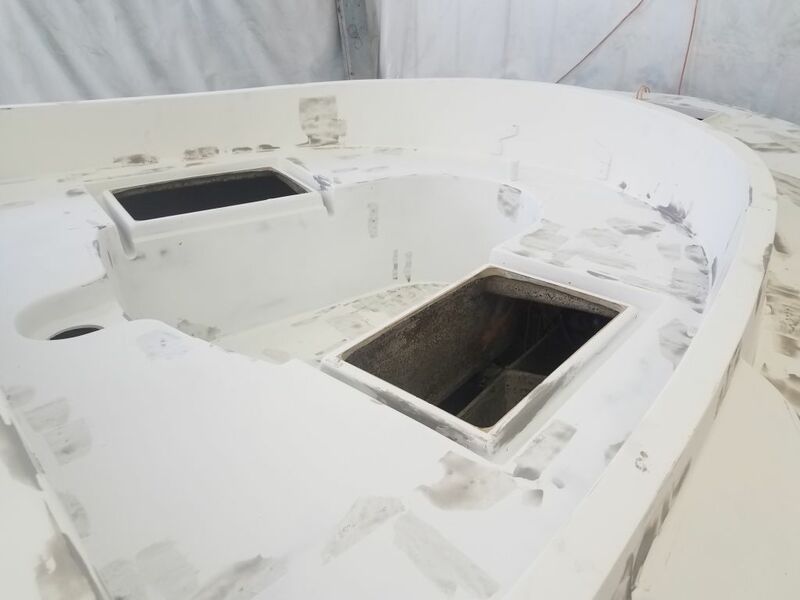 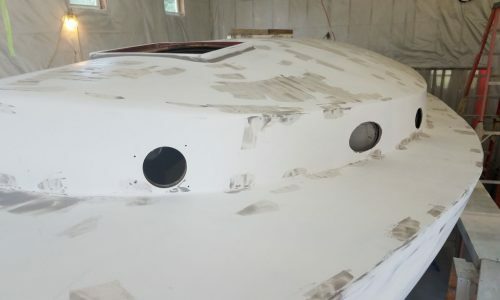 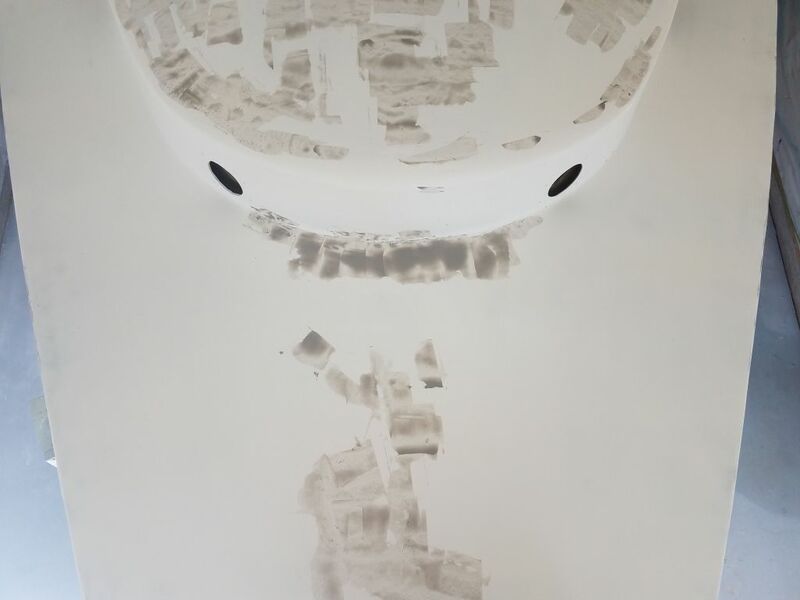 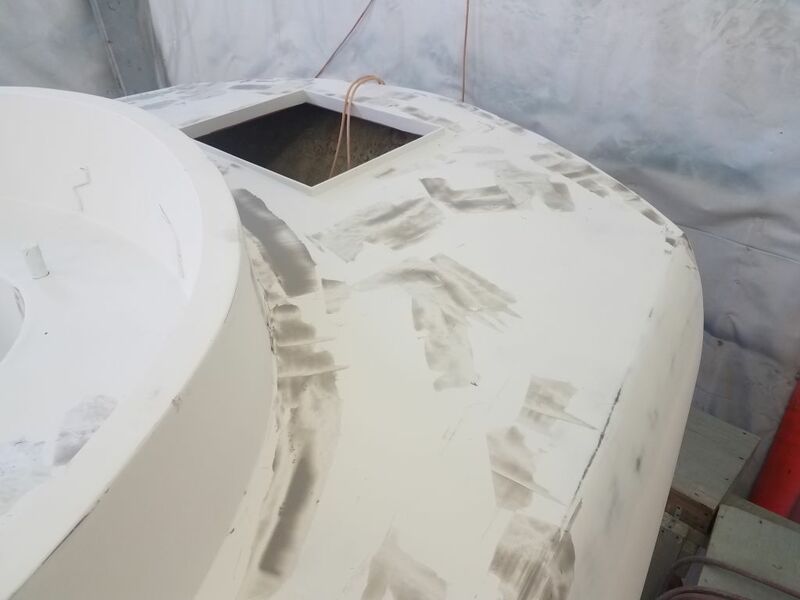 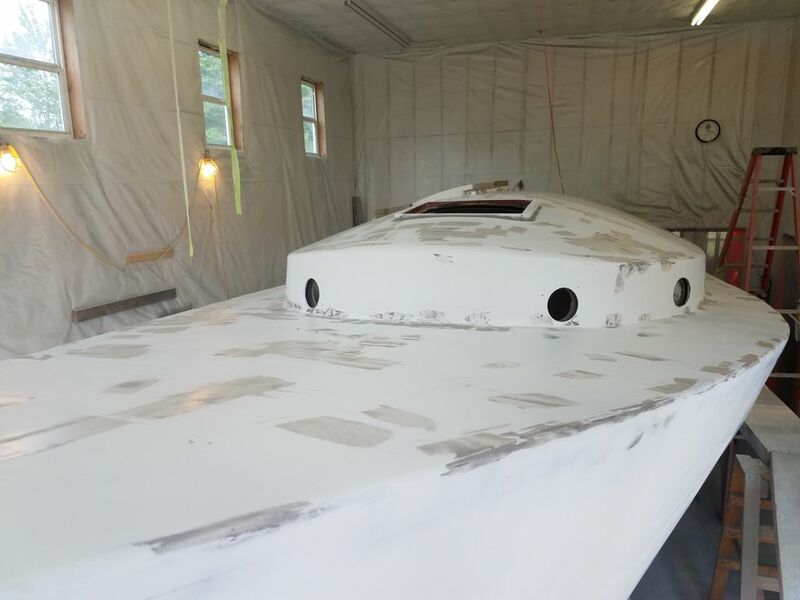 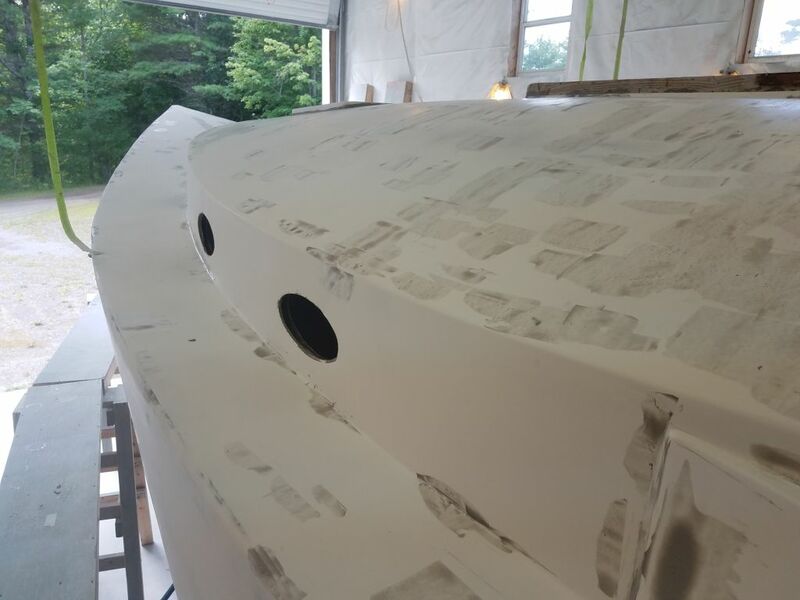 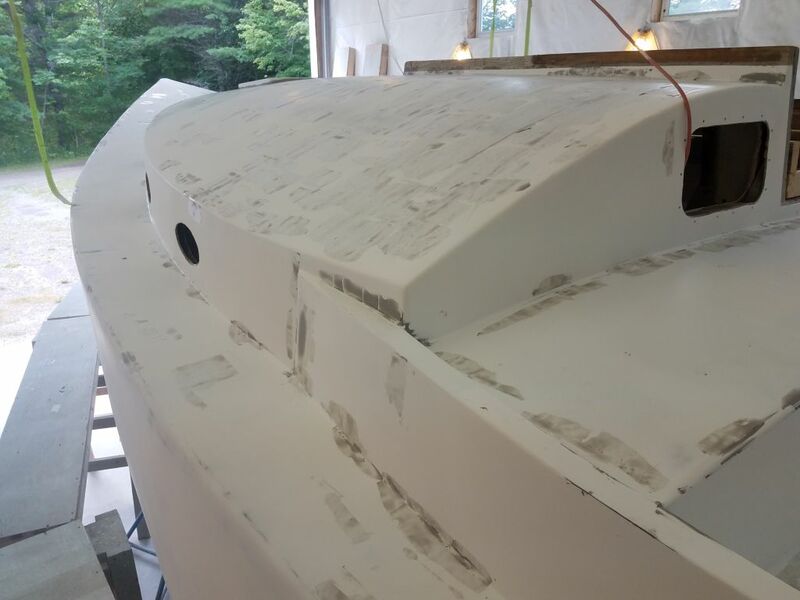 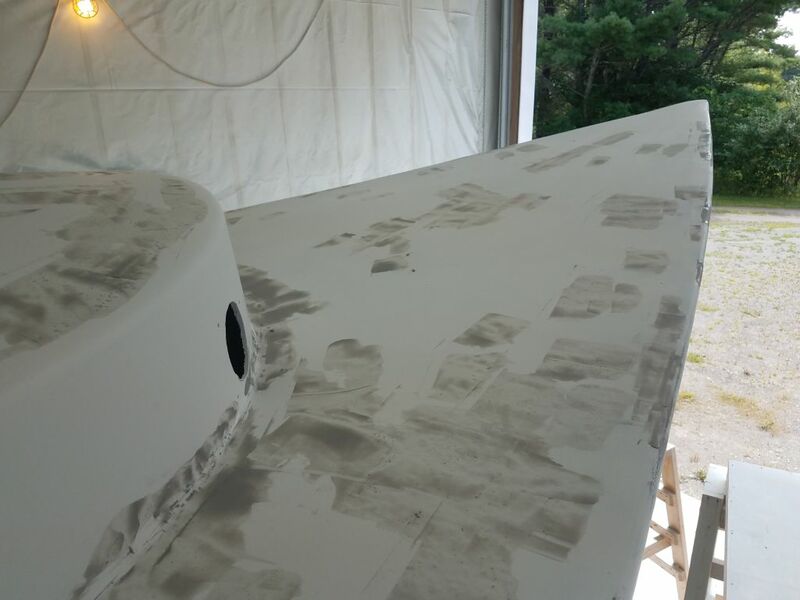 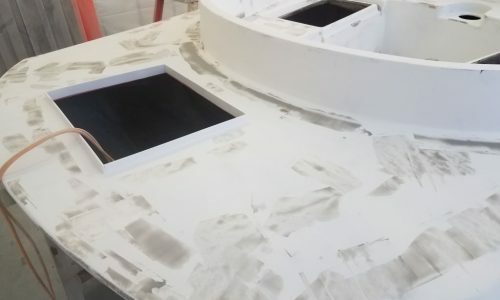 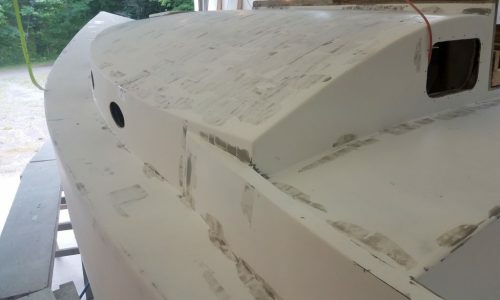 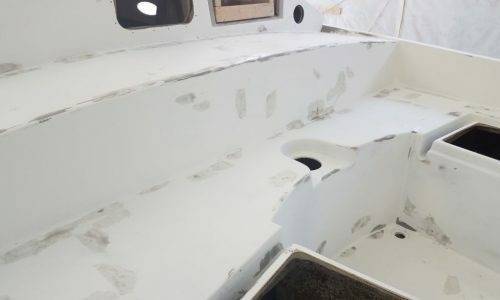 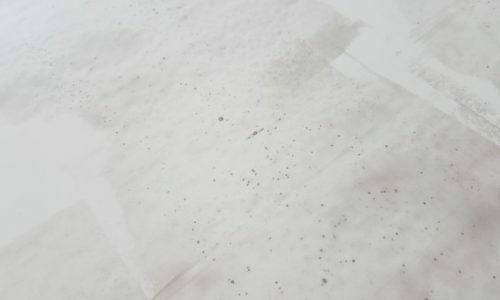 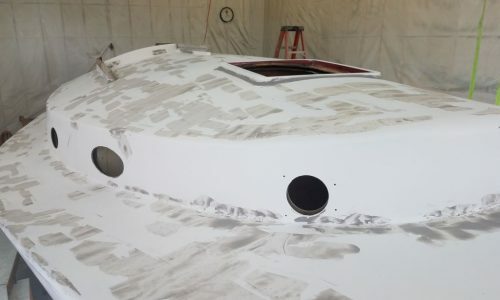 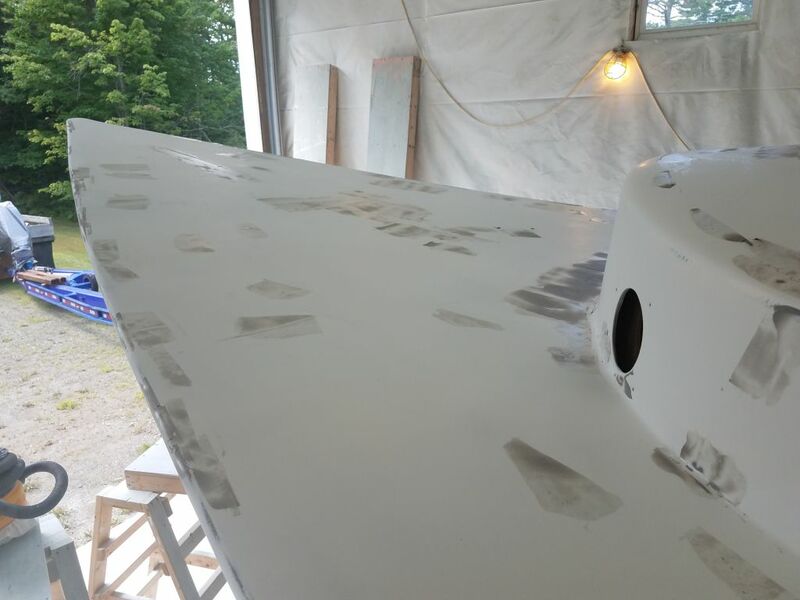 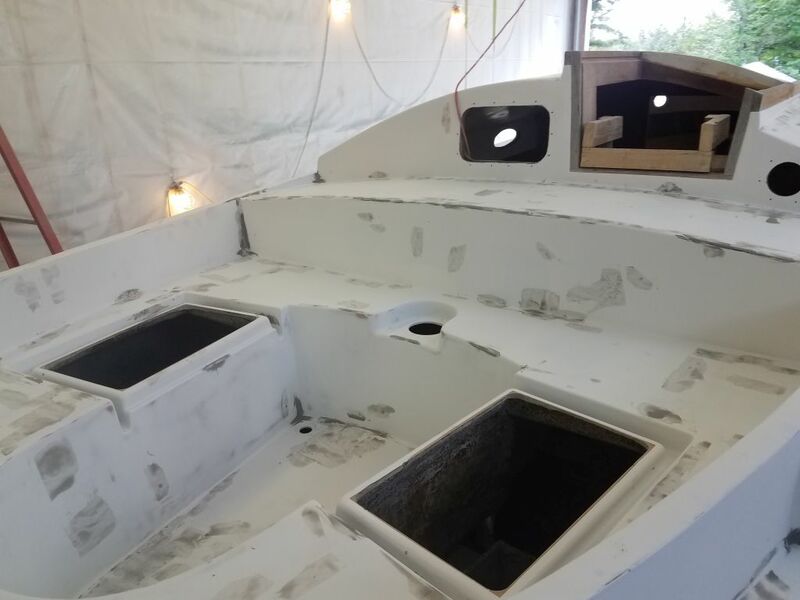 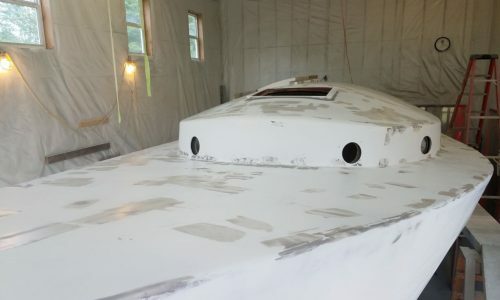 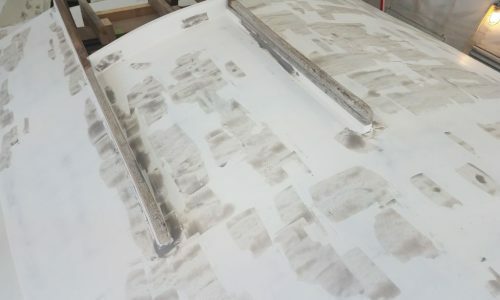 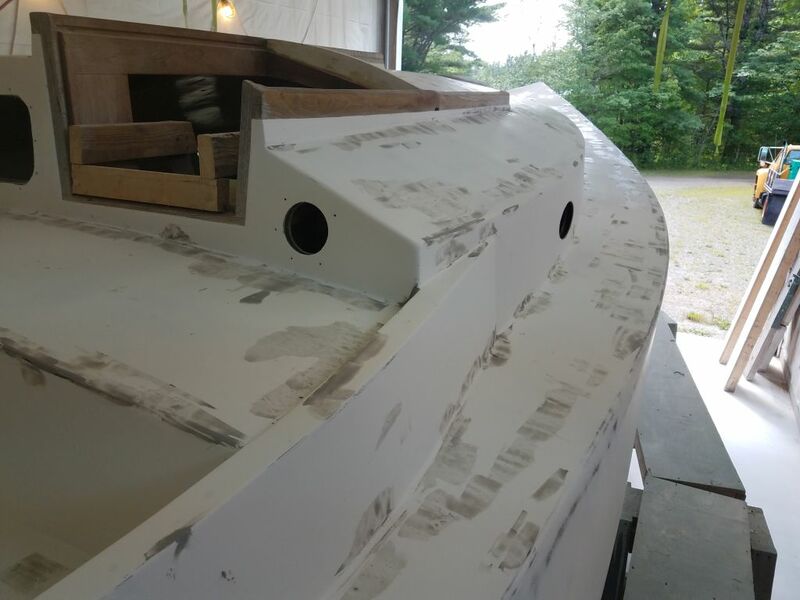 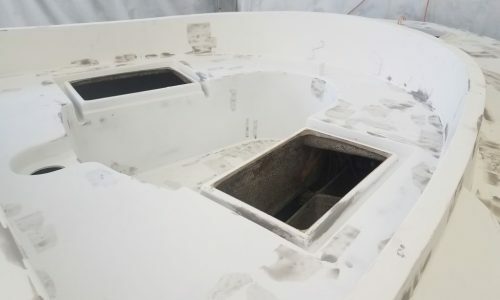 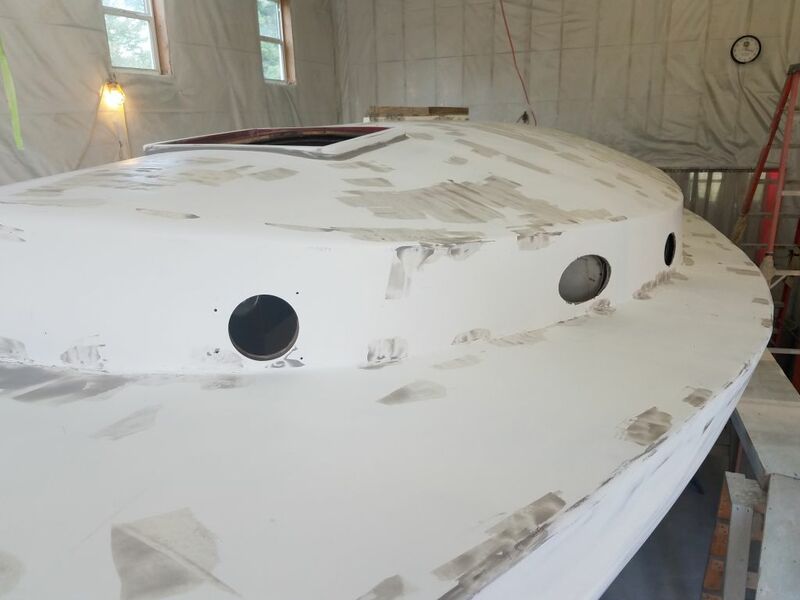 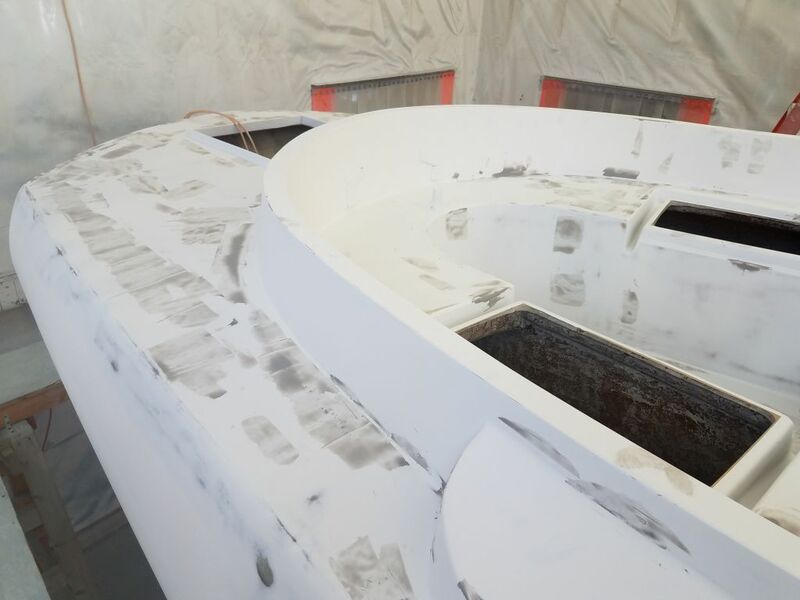 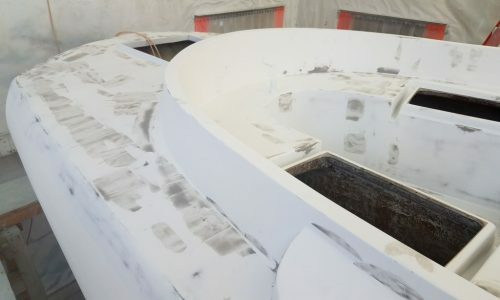 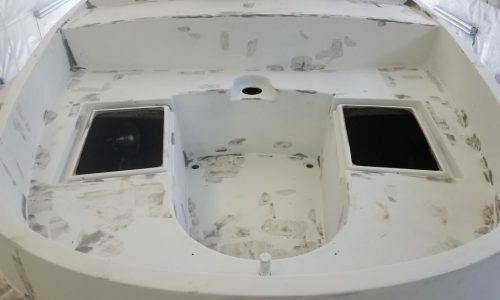 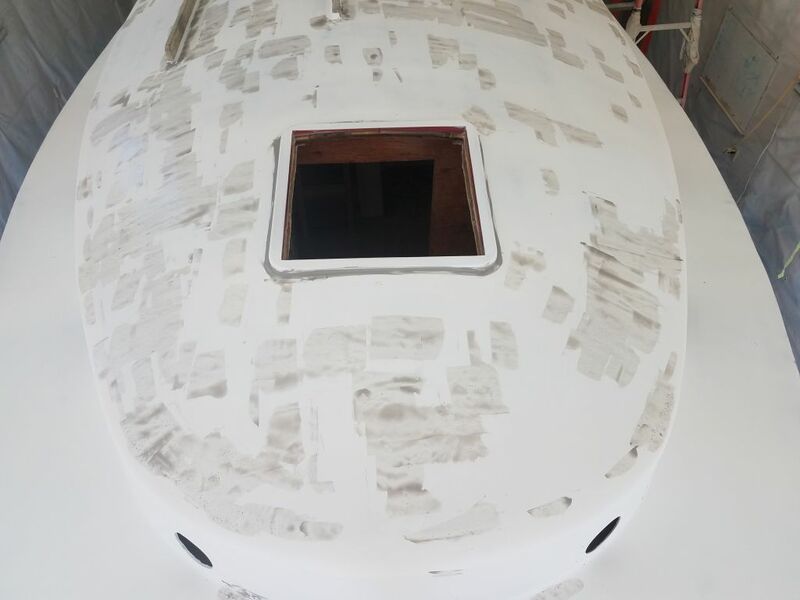 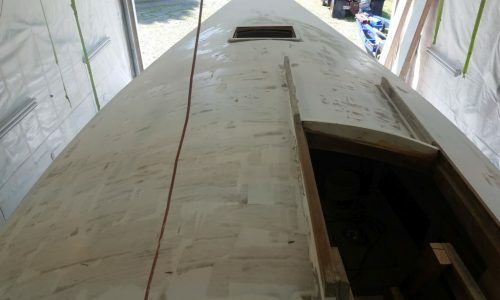 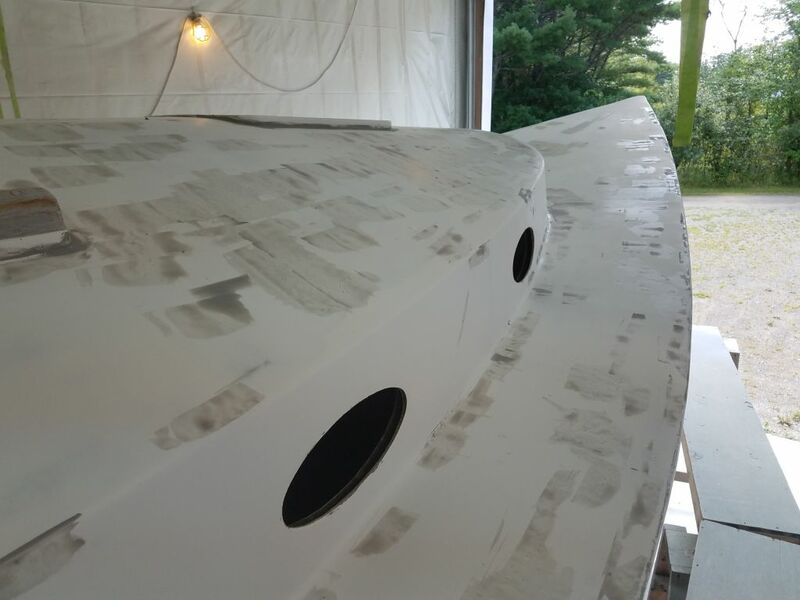 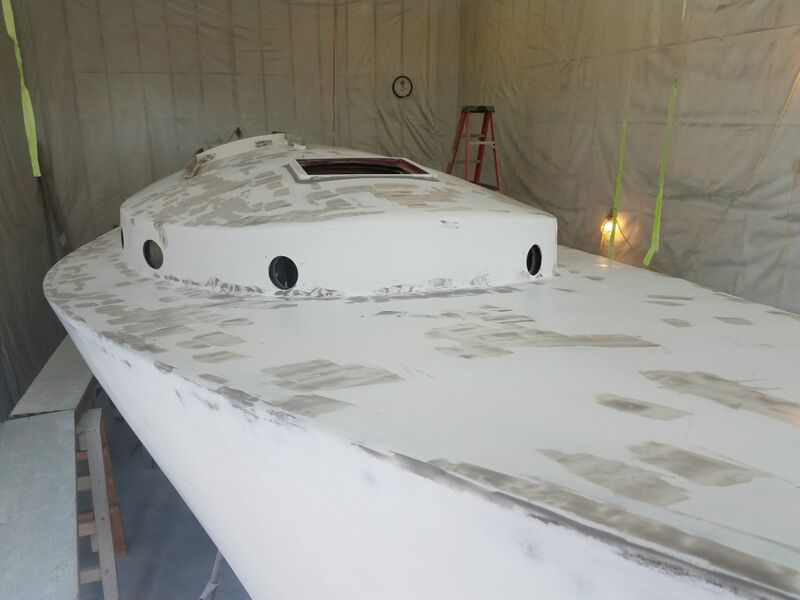 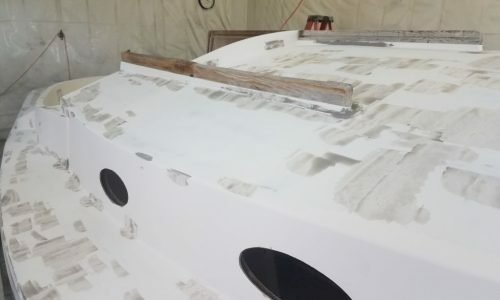 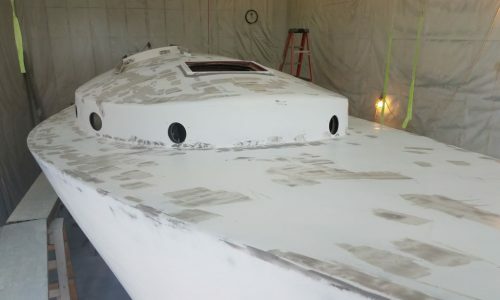 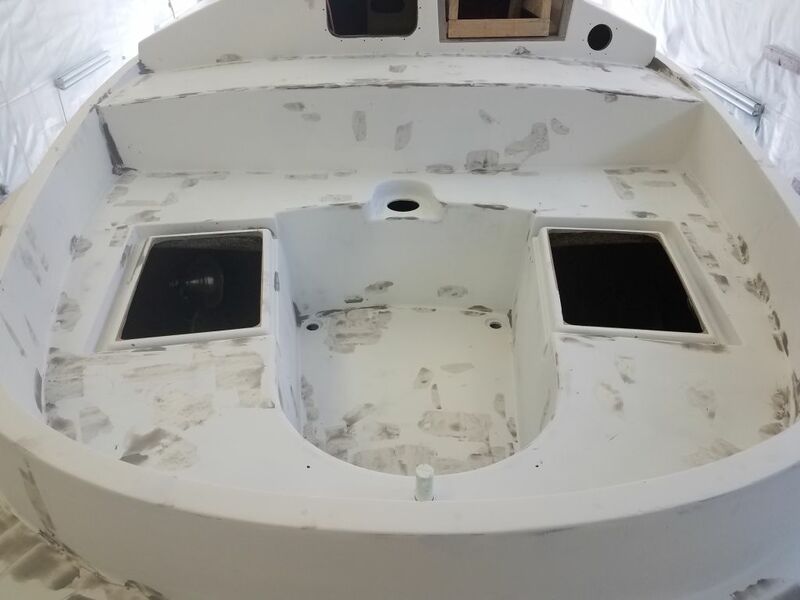 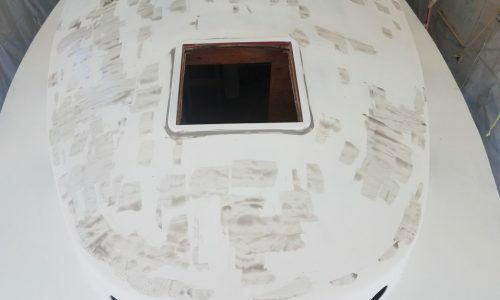 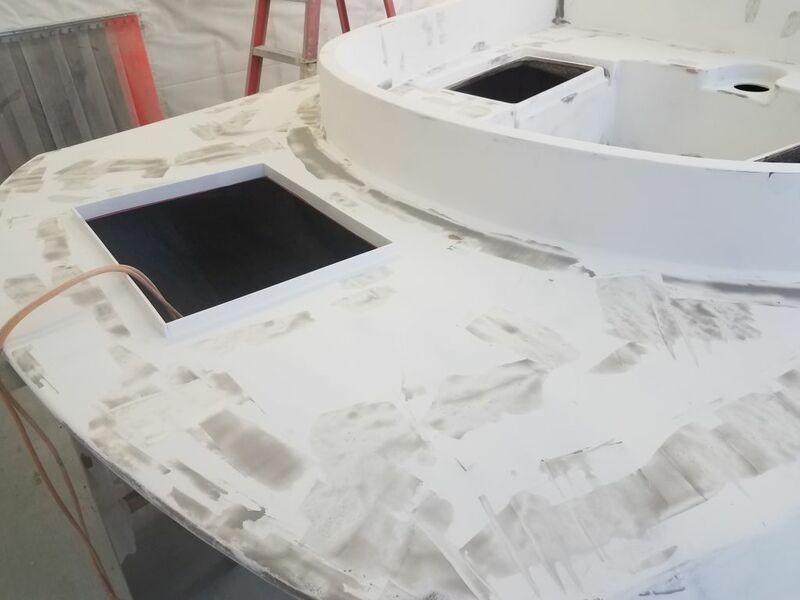 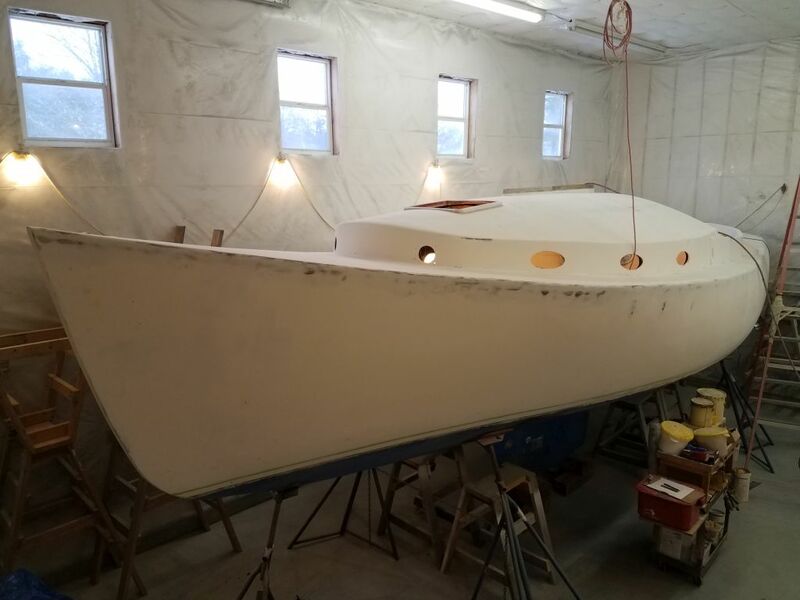 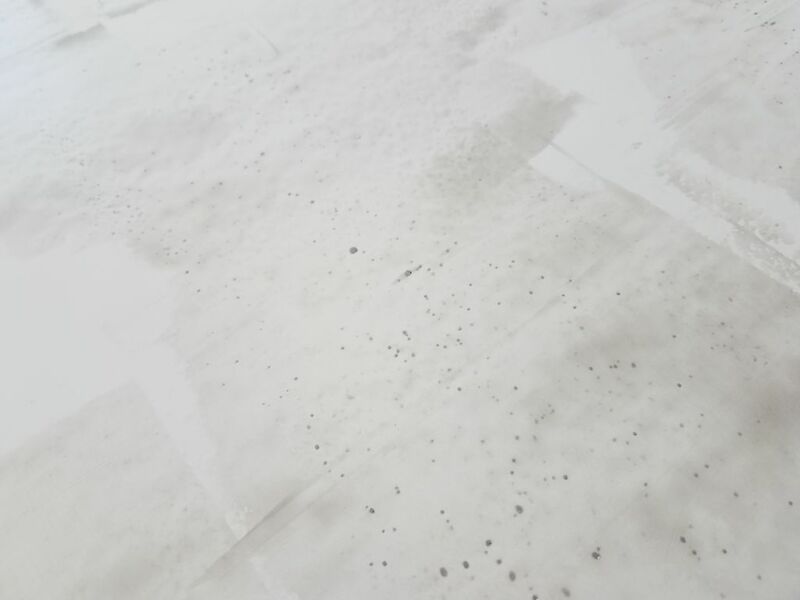 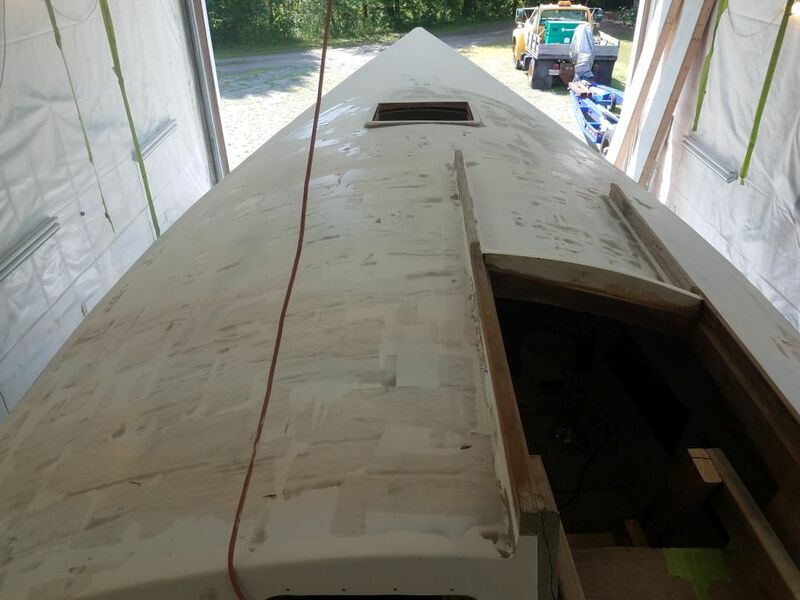 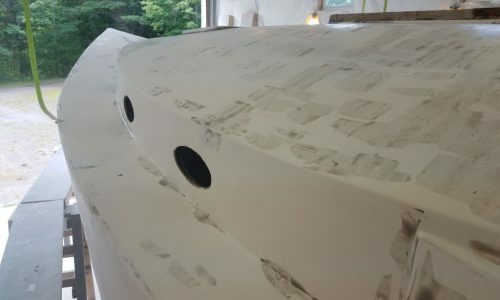 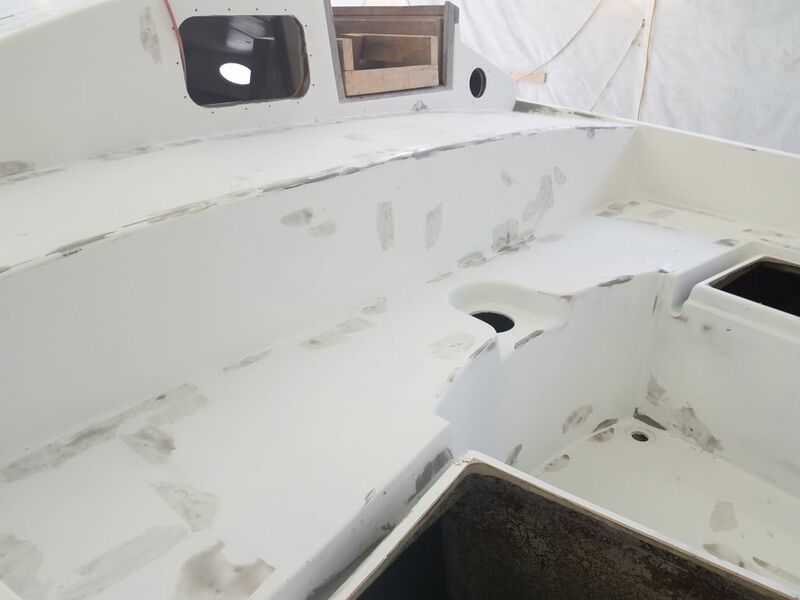 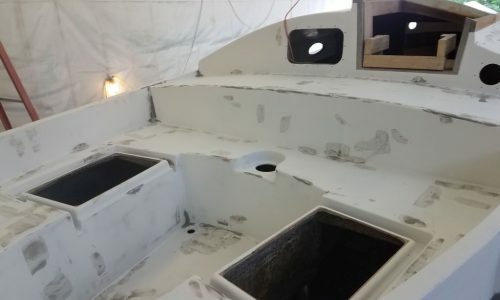 The next step was to apply a fine epoxy fairing compound to portions of the deck as needed to fill various and sundry pinholes, small voids and any other areas requiring extra attention as highlighted by the high-build primer. 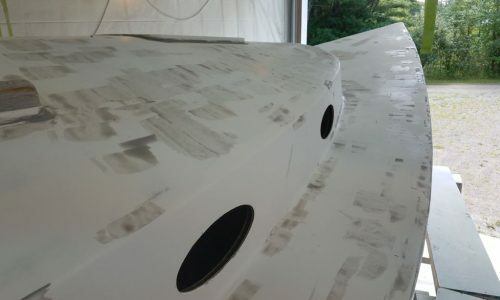 Because of the extensive nature of the deck repairs and related sanding, there were widespread pinholes to deal with, as anticipated and expected following the primer application, and in both areas of new work and the original surfaces, where sanding had exposed the natural small air pockets in and just beneath the gelcoat, and also a few areas requiring a bit of fine-tuning, such as the fillet around the forward hatch frame and some gelcoat voids in the companionway rails.